Recent performances include; Mark Cueto Executive Suite (Sale Sharks R.U.F.C.) - Blackbrook House (Belper) - Owens Wedding Barn (Mobberley), Nailcote Hall (Birmingham), Sheridan Suite (Manchester). Other Venues Include: Venues include: Mottram Hall, Haigh Hall, Ashfield House (Standish), The Marriot (Worsley and Spinningfields), Peckforton Castle, Mere Country Club, Cranage Hall, The Midland (Manchester), Owens Wedding Barn (Mobberley), Gawsworth Hall, Nunsmere Hall, Bartle Hall, Crewe Hall, Styal Lodge, Sandhole Oak Barn, The Saddleworth Hotel, The White Hart Hotel (Lydgate), Adlington Hall, Rookery Hall, Premier Lounge (Audenshaw), Manchester and Audenshaw Masonic Halls. 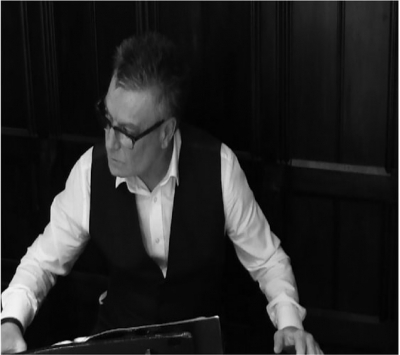 Paul has also appeared as an Event Pianist regularly at the Trafford Centre for over 15 years, as well as events at the Hilton Hotel (Cloud 23), Wrightington Hotel and Country Club, John Lewis, Mitton Hall (Clitheroe), Blackbrook House (Belper), Abode (Manchester, including Michael Caines Restaurant), Hotel Du Vin (Harrogate) and Corporate product launches for Mercedes (Leeds). Other performances also include House Parties, Anniversaries and Birthdays', Graduation Events, Masonic Events', Theatre Performances including The Epstein Theatre Liverpool, Mitton Hall (Clitheroe), Thwaites Empire Theatre (Blackburn) and Wirrall Floral Pavilions, he also currently performs regularly at the Marriot Hotel (Spinningfields) in Manchester, The'Cedar Tree' (Newhey-Rochdale).